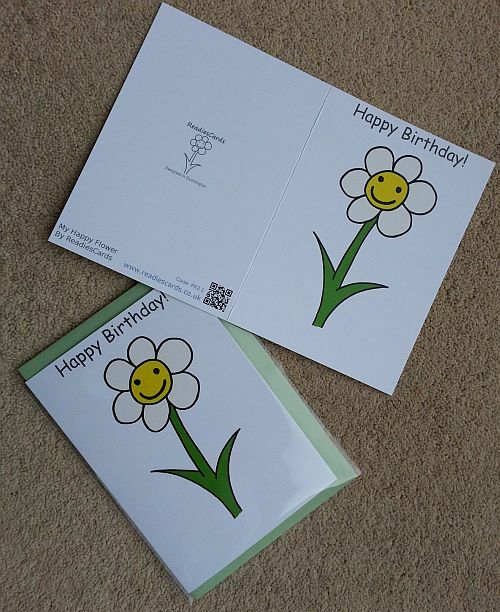 69p/card & envelope in packs of 10 (with individual cellophane wrappers) or 59p/card without cellophane wrapper. Post & packing £2.50 (free with orders over £20). 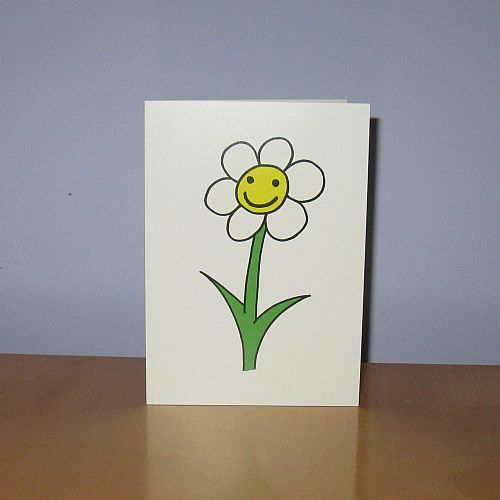 This simple single happy flower is a core favourite of mine. This was first drawn a number of times on paper before being scanned and redrawn using GIMP to clean up the lines. 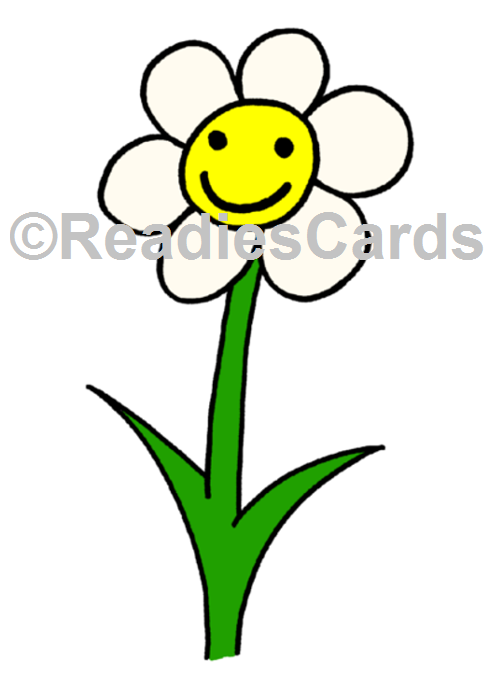 Most of my cards have this image on the rear in grey and white as the ReadiesCards signature image. About ReadiesCardsI’ve been designing and creating greeting cards for more than 20 years. Initially just to family and friends but now for everyone. I find creating the image relaxing. I hope you enjoy my art as much I enjoyed making it for you.